The St. Louis Blues kick off the new NHL season on home ice tonight against the Edmonton Oilers, and Metro is a great way to get to downtown before the puck hits the ice. The pre-game festivities begin at 4 p.m. with a Rally Party on Clark Avenue Plaza that will feature live music and other fun. 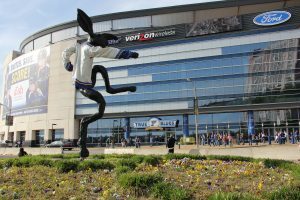 The game is scheduled to start at 7 p.m. at the Scottrade Center which is right next to the Civic Center MetroLink Station. Avoid road construction, traffic jams and the hassles of finding a parking spot by taking Metro tonight. Leave your car at any of the 21 free Metro Park-Ride lots in Missouri or Illinois and take MetroLink to the Civic Center Station. 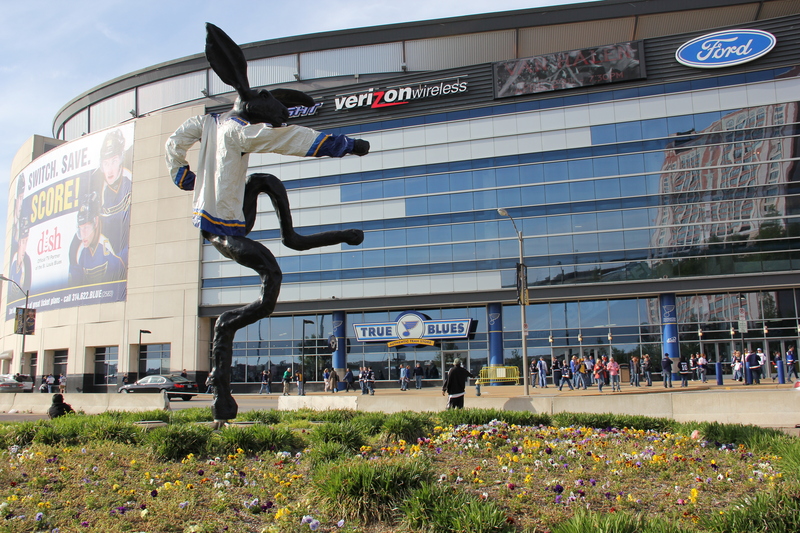 Walk a few steps north and you are at the Scottrade Center. You can also hop on MetroBus to get to downtown for the game. The Civic Center Transit Center, located at the intersection of 14th and Spruce Streets just south of the Scottrade Center, serves more than a dozen MetroBus routes. You can plan your Metro trip by using Trip Planner.